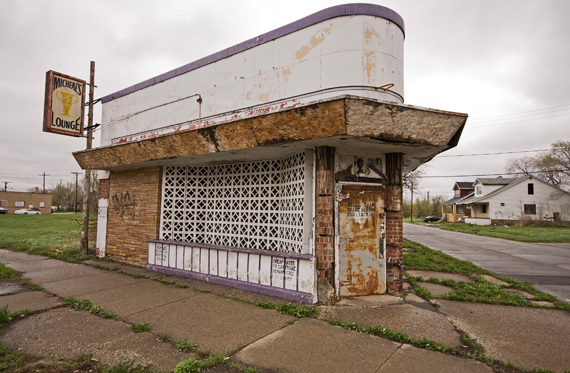 The old shot and beer joints were a mainstay in nearly all the Rust Belt mill towns. These places were the yang to the factories' yin and a big part of many a mill worker's daily routine. They were lined up in a row across the street from the Pullman Standard railroad car plant in Butler, PA - a small mill town north of Pittsburgh; they crowded the main drag outside of the Steel Mill entrance in Clairton, PA; and they covered the hills and streets outside of LTV Steel in Youngstown, Ohio, as well as hundreds of other towns from Buffalo to Weirton to Detroit. With stuffed elk heads staring down from the walls, along with old beer signs wearing years of dust, yellowing pictures of individuals, such as Terry Bradshaw, Ray 'Boom Boom" Mancini, Roberto Clemente, Mean Joe Green, and Willie Stargell hung in the area around the register. Bleary-eyed men stood half-cocked against the jukebox, beer in hand, lost in the familiar hits of their youth and the only slightly more current songs that would harken back to those simpler times. The most semi-recent hit may be John Cougar's (this is pre-Mellencamp) "Jack and Diane," while waiting in queue are Tommy James and the Shondells' "Mony Mony," Creedence's "Susie Q" and the slightly more recent "Night Moves" by Bob Seger. These are the places that, once the numbers were played, the rounds were bought, and your own thirst was quenched, took a nice chunk from weekly's earnings. But they also added to the sense of community. 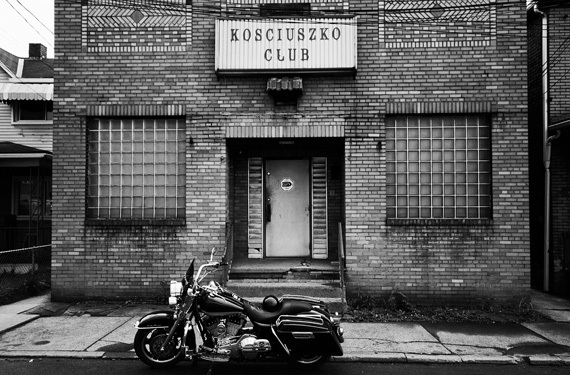 Along with the bars, stood the social clubs: The Sokol Club, The Kosciuszko Club, the usual Elks, Moose, VFWs and Legion halls, which could skirt the usual licensing requirements and host the rites of receptions, reunions and such, while still serving up seven days' worth of Iron City, Pabst, Canadian Club, and Maker's Mark. 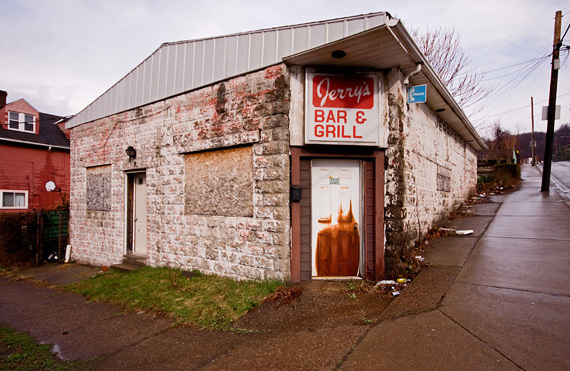 The old shot and beer joints were a mainstay in nearly all the Rust Belt mill towns. These places were the yang to the factories' yin and a big part of many a mill worker's daily routine. They were a place to blow off steam, settle the day's affairs, find a willing partner, or just tie one on until sweet oblivion set in. As the industrial base of the Factory Belt declined, so did these bars and social clubs, which makes it a special occurrence to unearth the rough-hewn exterior of a remaining building. Some still serve the old purposes, though mostly on a much smaller scale. The sense of community that, at one time, was pervasive in these towns, has been fragmented by broken histories, transience, and changing cultures. 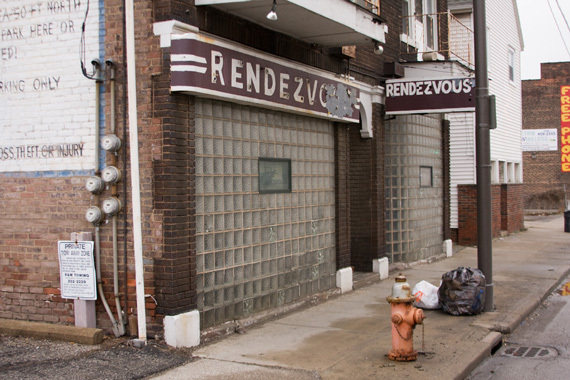 Please visit Randy Fox's website for more Rust Belt photography. Fox also manages the American Elegy website, which features the interviews and work of some of our greatest photographers, well-known and emerging.